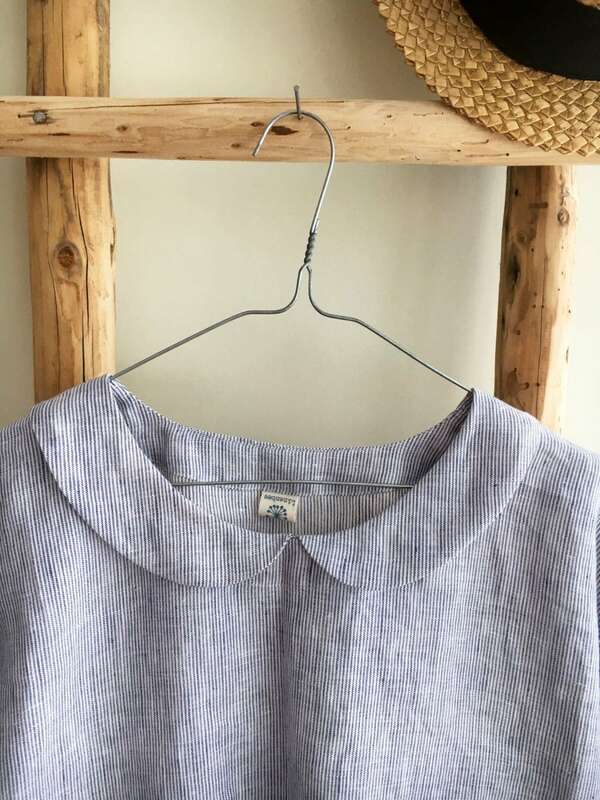 Very cute linen top with Peter Pan collar and roll up sleeves. 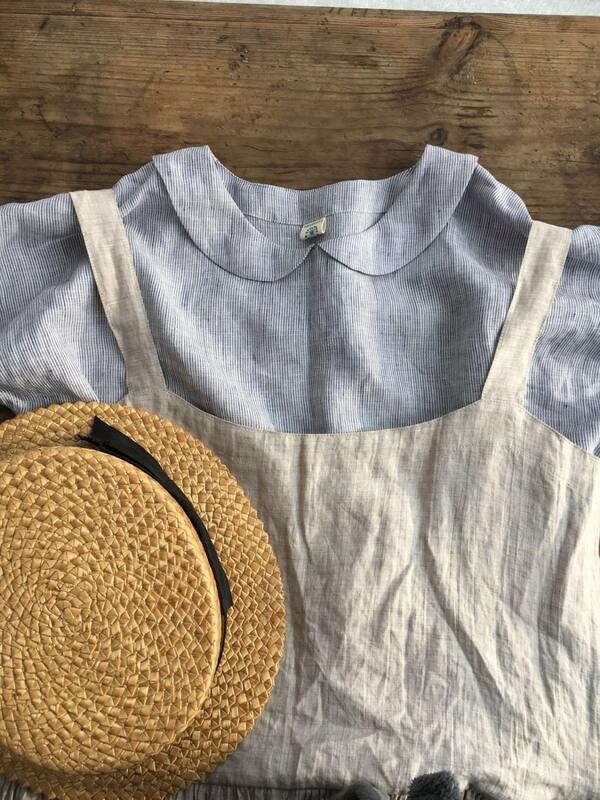 Adorable off white and blue stripes or any other light weight linen on our offer. 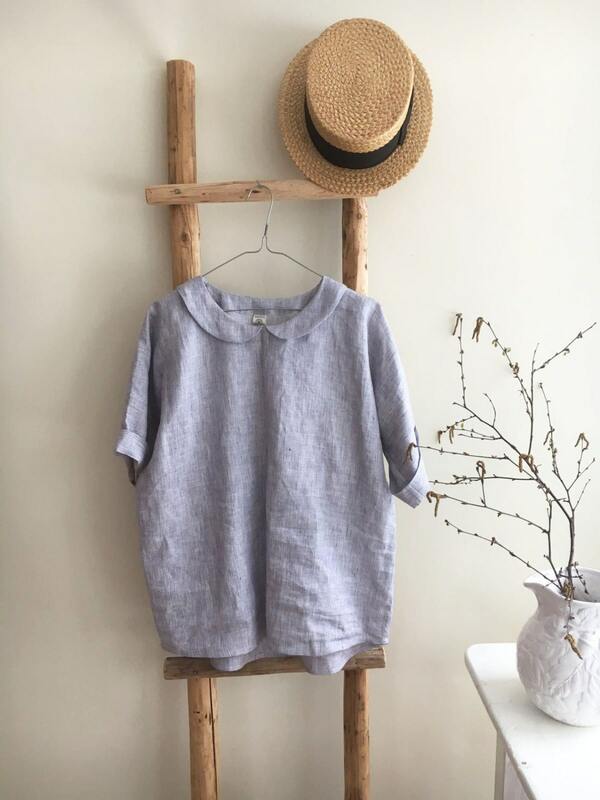 Made from a fantastic 100% pure European linen this shirt is light and airy. An eco-friendly choice. 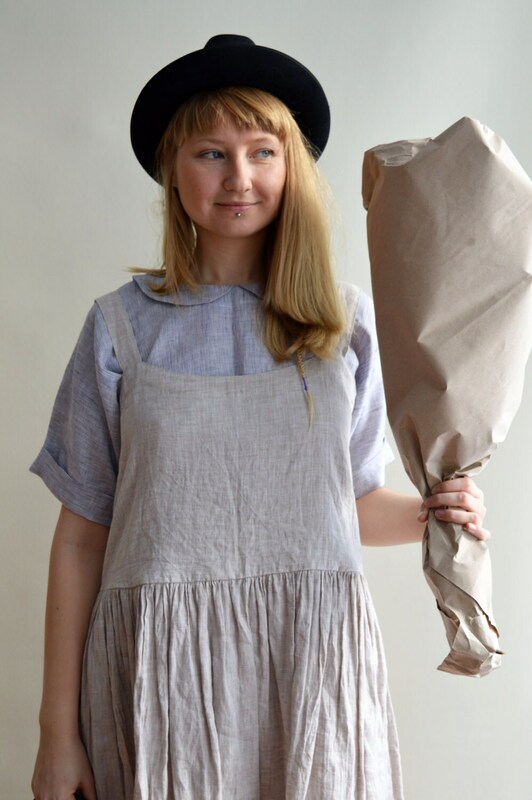 Will look great on you with jeans, skirt or under a pinafore dress. Its loose cut will allow you to be comfortable when its hot. You will receive the top already softened and pre-washed. It won't shrink anymore. 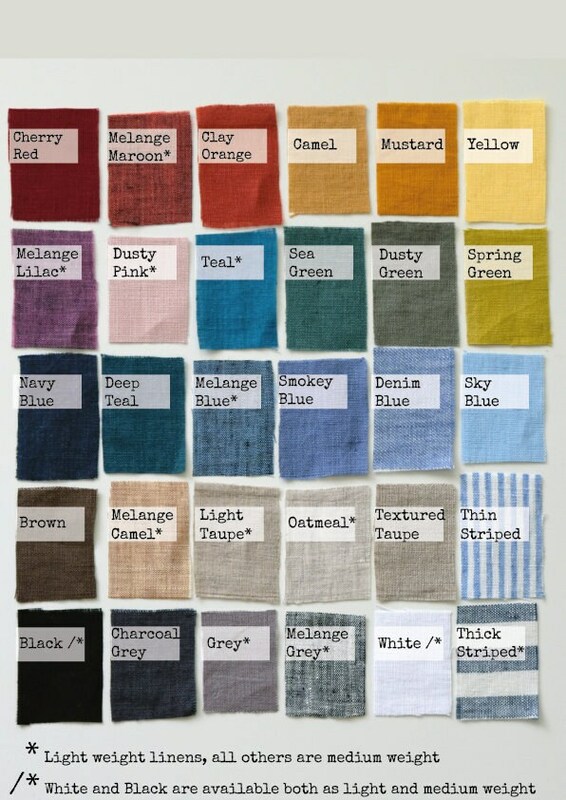 We can offer these shirts in various pure linen fabrics. 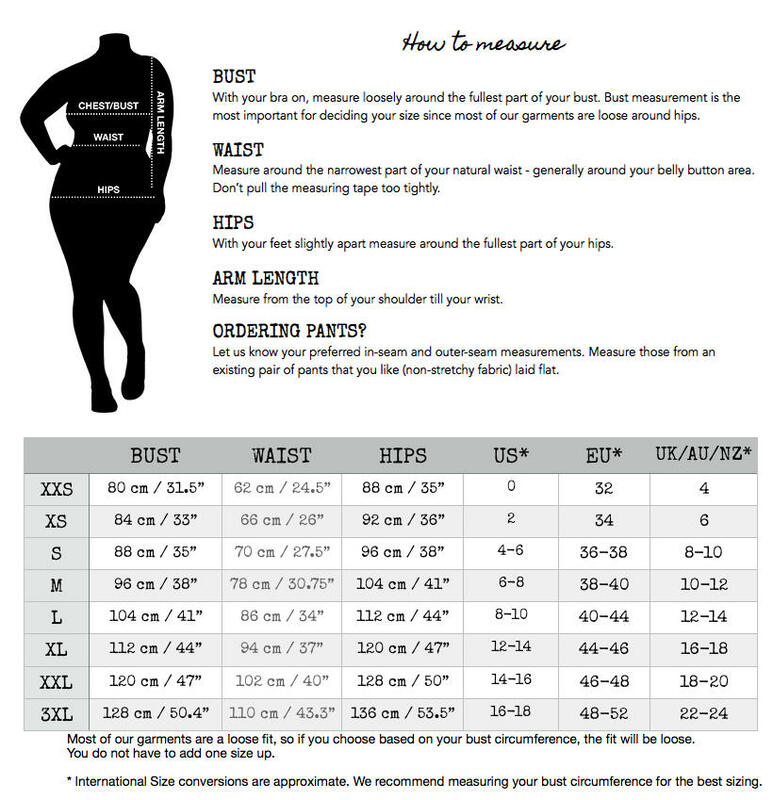 Note that they have different weights.